This article was published originally in Manitoba Pageant by the Manitoba Historical Society on the above date. We make it available here as a free, public service. Please direct inquiries to webmaster@mhs.mb.ca. Past Pageants have included material on Alexander MacArthur and the MacArthur Building is a reminder of Duncan MacArthur, one of the first bankers in the community. These were but two of the five MacArthur brothers who came to Canada from their birthplace in Nairn, Scotland. Their father, John MacArthur had died leaving their mother with eight young childrensix boys and two girls. The daughters eventually married and remained in Scotland and one son, John, died in his teens. Duncan MacArthur was born in 1840 and came to Canada in 1865 where he was engaged by the Hudson’s Bay Company in Montreal. His interests in transportation and real estate led him west to Winnipeg in 1872, where he managed the Merchants’ Bank of Canada for ten years. Following this period he became president of the new Commercial Bank of Manitoba and continued in that position for eight years. 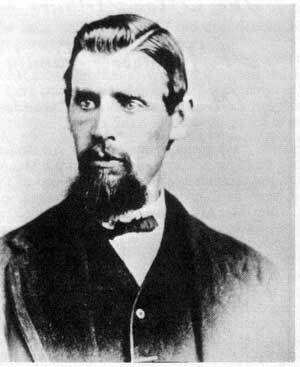 He also found time to travel to the Rockies with a survey party and he wrote interesting accounts of conditions in the west at that time. He remained a prominent citizen of Winnipeg until his death in 1907. James MacArthur followed his brother to Canada and to Winnipeg, but he was so interested in the more unsettled parts of the West that he travel-led on to Prince Albert, then south to the Qu’Appelle Valley country. He took land at Indian Head, Saskatchewan. Here he became a sheep rancher and also the Indian agent for the territory. He joined with a partner in opening a bank, but he did not become actively involved in its management. His main activities centered on his sheep farm where, his letters tell us, he was very successful in growing fodder grasses. Peter was the next brother to emigrate to Canada. He spent some time in Toronto where he learned about the transportationor the lack of transportationto western Canada. In 1866 and 1867 he operated a water power wood-working plant at Cedar Rapids, Iowa. He arrived in Winnipeg in 1869 where first he worked as a bridge carpenter on the Dawson Trail alongside others such as J. H. Ashdown and Thomas Scott. He was held prisoner by Riel for a time and later he went to Ottawa to appear before a parliamentary committee that was inquiring into the affairs of the Red River settlers. Deciding to enter the business of transportation, he had his first boat, the “Prince Rupert,” built in 1872. His transportation ventures were not successful until 1880 when he organized the Northwest Navigation Company and built two steamboats, the Marquette and the Northwest in 1881 and 1882. In 1883 he became manager of the Inland Navigation Co., a subsidiary of the Hudson’s Bay Company. Boats under his jurisdiction carried settlers and freight from Moorhead, Minnesota to Portage la Prairie, as well as following the route north on the Red and through Lake Winnipeg to Grand Rapids and then up the Saskatchewan River to Edmonton. He died in Winnipegosis in 1936 at the age of 95. Alexander left Scotland in 1868 and came to Winnipeg where he engaged in the lumber business until 1878 when he assumed the management of the Manitoba Investment Association, a position he held until 1885. Prior to coming to Winnipeg he was employed by the Hudson’s Bay Company in Montreal during which time he made two trips to Winnipeg and returnby dog team. He was extremely interested in nature and scientific research. He wrote on subjects dealing with wildlife, such as a paper titled “Birds of Manitoba” which was published in The Manitoban. He also wrote many interesting tales from his experiences as a fur trader. Being one of its valuable contributors, Alexander MacArthur was greatly missed by the Manitoba Historical and Scientific Society after his death in 1887. The last of the five MacArthur brothers to reach Manitoba was David. After some experience in a law office and a bank in Scotland he came to Winnipeg as a young man with the hope of joining his brother Duncan in banking. He worked as a bookkeeper after his arrival until a place was found for him on the bank staff. Like his brothers, he was very interested in opening the land to settlers and he left some interesting tales of short journeys by horse and democrat to sec the surrounding country. His daughter, Muriel Dallas MacArthur, still resident in Winnipeg can speak with pride of the contributions of her father and uncles to the development of their adopted homethe Canadian West.